Way back in 1675 it was thought that these mountains contained silver, and so shafts were sunk to try and find it. There was, in fact, no silver; but the name has stuck and today we can enjoy fynbos unspoilt by mining. The reserve is divided by Ou Kaapse Weg into two sections; I’m visiting the east area today which sits above Tokai, Muizenberg and Kalk Bay. 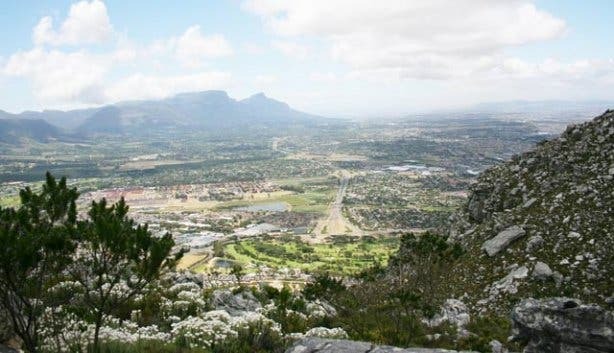 The hike up to Steenberg Peak offers a view of the mountain range that stretches from Tokai to Cape Town with the city spread out below. 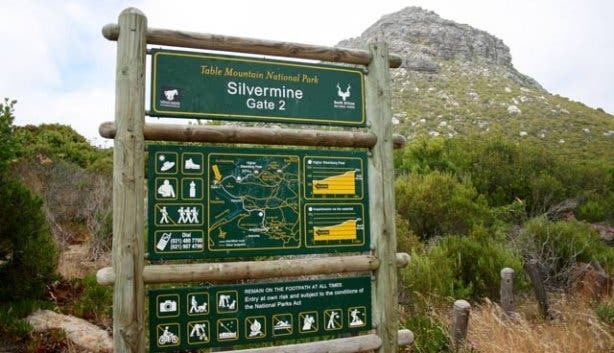 In 1998, Silvermine was declared part of Table Mountain National Park which ensures that its natural beauty will be preserved. We also hiked to Elephants Eye in the west section of the nature reserve. The sun is peeking through the clouds and there’s a light splatter of rain drops as we set out. The fynbos turns a vibrant shade of green as the leaves soak up the water. During the walk the sun comes out again, and by the end of the hike it’s boiling hot. Such is Cape Town weather. I’m wearing my Hi-Tecs: V-lite Total Terrain Lace, which adapt well from walking on slippery rocks to handling the hot gravel road towards the end. Pack a picnic,find a spot with a view and enjoy a well-earned lunch: make sure you take all your trash with you when you leave. Hiking shoes. You can get away with a light pair of hiking shoes; but there is some climbing over rocks so make sure they have good grip. Hats and sunblock. There are some overhanging rocks where you can have a shady break, but other than that you’ll be exposed to the elements so make sure you protect your skin. Camera. The views across the city are incredible. The landscapes on the plateau, with their interesting rock formations and fynbos, are also very photogenic. 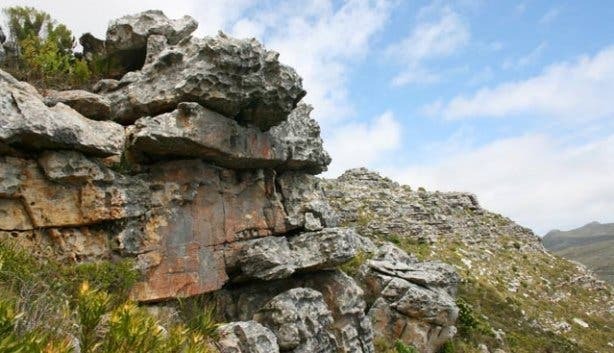 Children from ages 10 and up, if they’re not used to hiking they may struggle with Steenberg Peak so choose one of the more flat routes. Dogs are allowed if you have a My Activity Permit. Emergency number. Take this number up with you just in case and call the emergency number if you get lost or injured +27 (0)86 110 6417. Read these safety tips before you go. You can reach Silvermine East from Ou Kaapse Weg, the turn off to Gate 2 is on the left if you’re driving from the Tokai side. There’s a parking lot and a short walk up to the gravel road which has a clear map of the different routes you can take. If you want more of a challenge, you can also reach this plateau from Boyes Drive on Muizenberg side. Park in the lot just past the entrance and take the footpath leading towards the peak. When you reach the gravel road you will see a signpost with a detailed map of all the paths. The footpath then continues up to the left of this sign. You can choose to do this circular route in either direction. 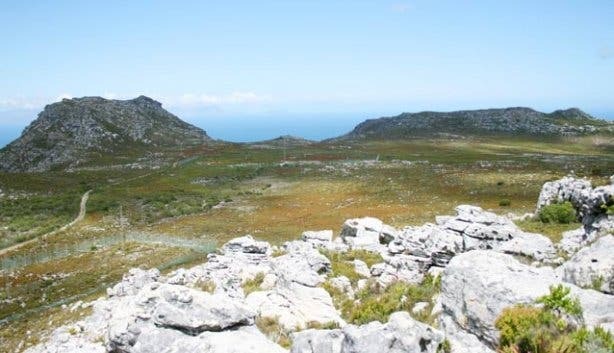 The clockwise way will take you up Wolfkop and on to Higher Steenberg Peak. 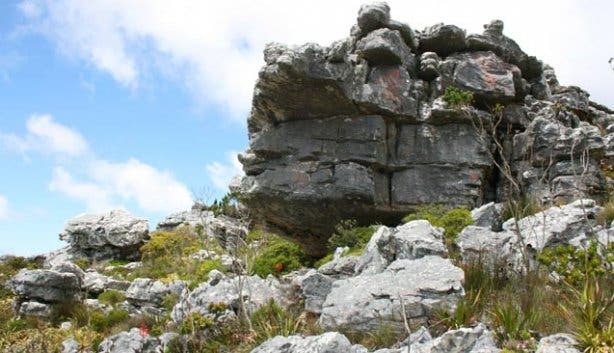 Look out for a rock overhang, bafflingly known as the Fat Lady Shelter, for a shady picnic spot with a view. Follow the path over the plateau and down to the gravel road. There are a couple of routes you can take so keep an eye out for the cairns and head to the right and you will hit the road. From here you can follow it back to the parking lot – look out for the pools and the waterfall on the left, they are often dry in summer but after heavy rains they’re worth a look. Duration: It’ll take you about three hours depending on how long your lunch break is and which paths you take. 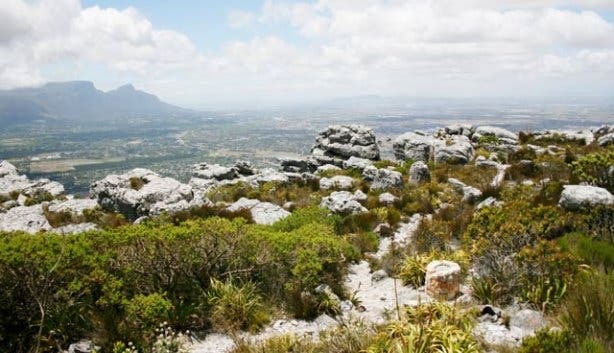 This follows the same route as the previous hike but continues on in a wider circle to include Muizenberg Peak, which provides those stunning coastal views that you’ll only get a glimpse of from the Higher Steenberg Peak. Follow the paths that circle back around to meet up with the gravel road, which will lead to the parking lot. Duration:Depending on which paths you choose this will take about four hours. The path up Peck’s Valley is on Boyes Drive directly up from the Muizenberg Police Station and starts through a little stone gateway. Stone steps lead up the valley with phenomenal views of False Bay to keep you motivated. 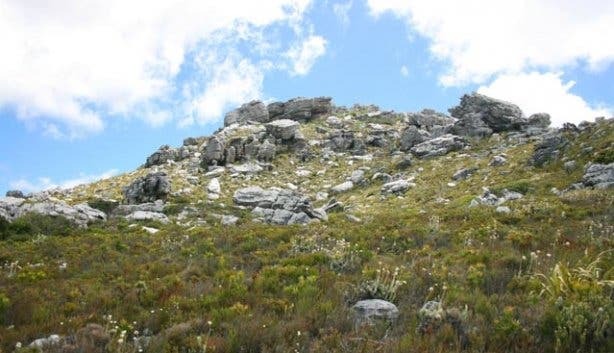 Once you reach the plateau you can choose to have a break before descending or continue on the path up to Higher Steenberg Peak before circling back. Duration: It’ll take you about five hours if you choose to summit the peak once you reach the plateau. 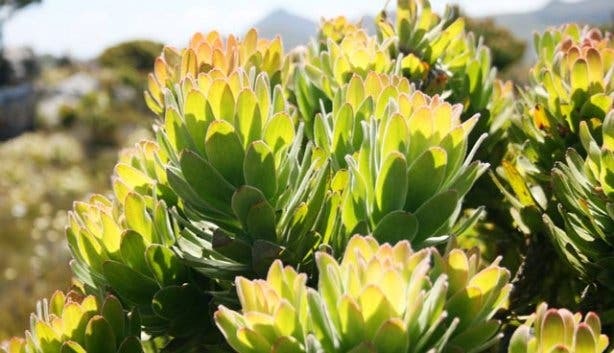 Flora: There are over 900 species of fynbos to be found in the reserve, made up mainly of proteas, Ericas and restios. The slopes are covered in Ericas in various shades of pink depending on the season; with leucodendrons and asteraceae providing a splash of yellow in spring. 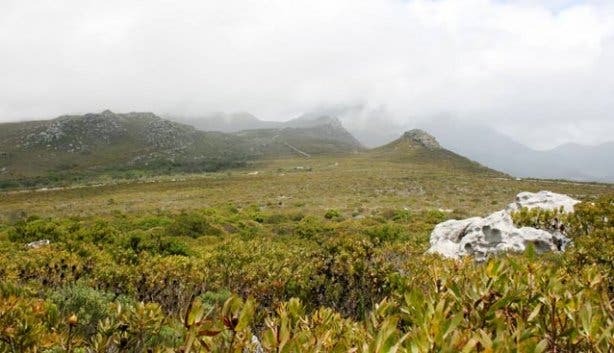 Fauna: There are nearly a hundred species of birds to spot in Silvermine. We were lucky enough to see a pair of what I think were jackal buzzards gliding up on the thermal currents and hovering before diving down to catch whatever prey they had spotted on the ground. We also spotted an orange-breasted sunbird and found a small cave with some tell-tale porcupine quills in it. You may also spot a tortoise or two. Trivia:The Erica urna-viridis is only found on the Steenberg plateau in Silvermine. The flowers are green, sticky and urn-shaped – hence the colloquial name of green urn. Conservation fee: R5 per car. Get the first glimpse of Cape Town's newest visual art museum, The Norval Foundation in Steenberg. Check out our Facebook album of our day, and follow us on Twitter to find out where we’ll be hiking next. Plus, subscribe to our weekly newsletter for a seven day weather forecast.